The probability of Britain leaving the EU with no Brexit deal in place has decreased to just 16.7%, according to leading bookmakers. 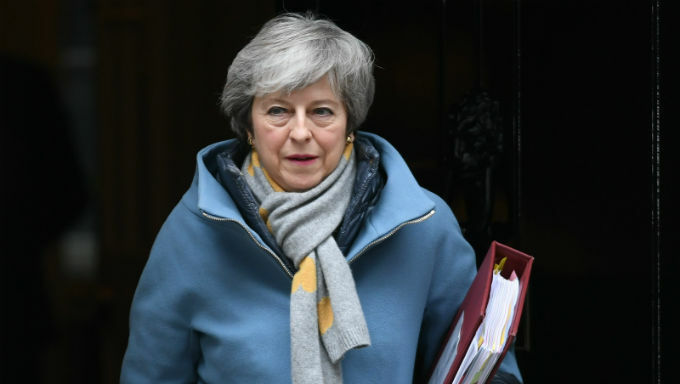 Theresa May was dealt yet another humiliating defeat on Tuesday, losing a second ‘meaningful vote’ as MPs opted not to support her revised deal with the EU with 391 votes against to 242 in favour. The result was not unexpected, but political betting traders at Paddy Power and Betfair reacted to the outcome by moving the odds of a no deal Brexit out from 4/1 to 5/1, which equates to an 16.7% chance. That has seen the odds come in to 1/10 on Britain either having a withdrawal agreement in place by the end of March or an extension to the Article 50 deadline granted, the shortest price yet since the Brexit betting book was opened. The odds on May losing the ‘meaningful vote’ had fallen to 1/50 on Tuesday afternoon after Attorney General Sir Geoffrey Cox ruled there was still too much legal risk despite the changes to the deal, while the European Research Group (ERG) were similarly unimpressed. Furthermore, the DUP also voted against the deal as they believed there was too great a chance of Northern Ireland splitting from the rest of the UK. With the withdrawal agreement eventually defeated by 149 votes, MPs then voted on Wednesday whether they are open to Britain leaving the EU without a deal on March 29. As expected, they rejected the option of a no-deal Brexit, prompting a third vote on Thursday, which saw the Commons vote 413 to 202 in favour of seeking an extension to Article 50. That looks the most likely outcome at this stage, with most traders shortening their odds on an extension to Article 50 beyond March 30 to 1/7, and as short as 1/16 with some bookmakers. That’s an implied probability of 87.5% (1/7) or 94.1% (1/16) respectively. Quite how long that deadline may be remains unclear, but other political betting sites suggest April to June 2019 is now the most likely timeframe for Brexit to go through at odds of 6/4. Should MPs finally support May’s deal at the third time of asking by March 20 next week, the Prime Minister will ask the EU for an extension of no later than June 30. However, another failure to win support of her deal may force a much greater delay. Either way, EU leaders of the other 27 nations must agree to the terms of any such delay. Meanwhile, leader of the opposition Jeremy Corbyn, who has odds of 5/1 to be Britain’s next Prime Minister with May currently odds-on (1/3) to leave the post in 2019, has once again reiterated his stance on the need for a general election. “It’s time that we have a general election and the people can choose who their government should be,” said the Labour leader, without suggesting the need for a second referendum on Brexit. William Hill appear more convinced that a general election will take place in 2019 than alternative bookmakers, going 5/6 on that potential outcome, though most other major bookies make it a 6/4 chance. In any case, the Conservatives remain the favourites to win the most seats whenever the next general election may be, priced up at 8/11 across the board compared to Labour’s widespread price of 6/4.